Covenants, Conditions, and Restrictions (CC&Rs) are recorded when the property is subdivided. There are 17 subdivisions in the Westchester Association of Homeowners. Each represented by a declaration of CC&Rs, also known as "Deed Restrictions". 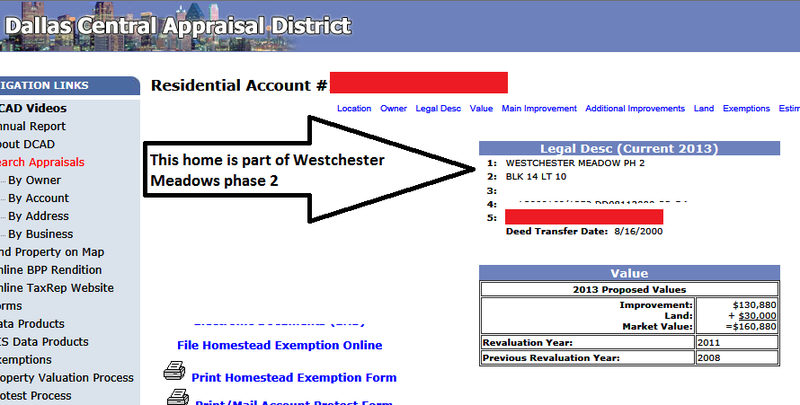 Westchester has mandatory deed restrictions with voluntary dues. The property owner is bound by the Deed Restrictions whose purpose is to enhance and protecting the value, attractiveness, and desirability of Westchester as a whole. Buyers of real estate, particularly their own homes want some assurance the single most important investment they will ever make is hold its value and ideally increase in value. You are not just buying a house! You are buying a community to raise a family or to retire in a peaceful and beautify setting that is safe and secure. The payments are an investment in your future wellbeing, fiscally and emotionally. We aspire to move to a better place or make where we live a better place. These CC&Rs are one of the primary assurances that we have when we move to a community. If you join our membership entitles you to express your voice in the future direction of the HOA and supports those that are looking after your best interest. The board is a voluntary position, but we still need resources to make things happen. The more resources we have, including volunteers, members and dues the more we do for our common interest in the community. When a violation occurs a card will be left at the front door with a description of the violation and a time frame to correct the violation as a friendly reminder. If no response or change has occurred by that given date on the card then the first letter will be mailed through the USPS to the resident with a description of the violation and a date that the violation must be corrected/removed. When all attempts have been made a certified and final letter will be sent with a date that the violation must be corrected/removed. When all attempts have been made to correct the violation by the resident then a $200.00 fine will be accessed for every day thereafter the violation is not corrected and no attempt from the residents has been made to contact the HOA with Q&A. The HOA will take legal steps to enforce our CC%R's known as deed restrictions when all attempts have been made and the owner of the property refuses to correct the violation documented. These CC&R files require Adobe reader to open, view or print. At the time of closing on a home, it is the responsibility of the title company to provide as part of the closing papers a copy of the Deed Restrictions. These are part of the legal documents provided to you revolving your property purchase. Below are .pdf versions of the files that you can view and print. If unsure about which division CC&R’s apply to you property visit Dallas Appraisal District and follow the instructions below. 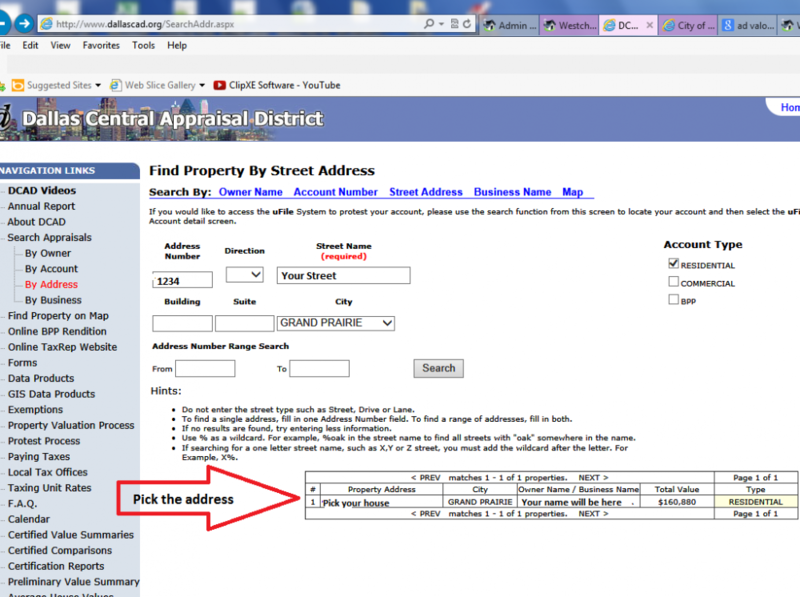 Search Appraisals by Street Address. You can then find the name of your addition in the upper right-hand corner.